A little while ago, an artist reached out to me about being featured on Lyrical Lemonade and today, he’s finally making his well-deserved debut on our site. Patrick D. Mix Jr., AKA pat junior. is an up and coming, yet polished musician from the great state of North Carolina. The writer/rapper/producer has been making music for 6 years now, with 2 of the latest years being completely full time. If you’re familiar with Xavier Omär, then it’s about time you took notice to pat junior, since he is under the same management as Xavier at Moon Artists Management. That said, the talented east coast native just recently put together a 12 song playlist of his own work that absolutely blew me away. Generally, with that many songs, it’s easy to not pay attention to all of them; but when it comes to pat junior, each one of these 12 tracks demands to be heard! 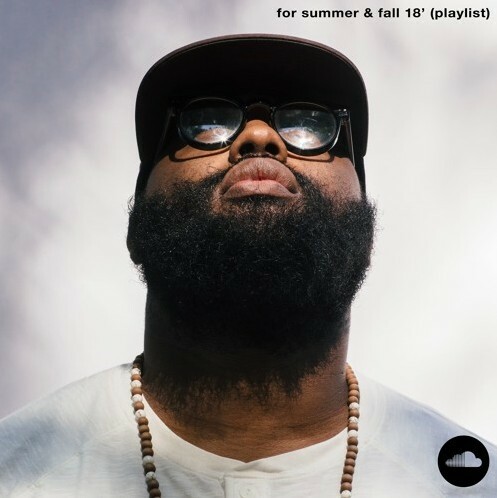 Throughout these full songs and carefully crafted instrumentals, you get a really good feel for pat’s mature production and confident lyrical flow. I could go on and on about how dope this project is, but this is just something you’ll have to judge for yourself. I’ve attached the SoundCloud playlist in the link below. Take a listen and let us know what you think of pat junior. If you like his sound, then make sure to show support on his social media pages here and here. For all of you up and coming artists out there, don’t be hesitant to reach out to the Lyrical Lemonade writers, just like pat did. There are gems out there and we need your help to bring them to light!